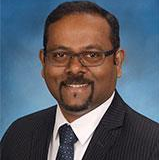 Kalyan, is a Director of Process Excellence (DPX) for Consumer Lending organization, reporting to the General Manager. In this role, he is leading a team of talented Black Belts and Process Engineers with focus on driving a culture of continuous improvement and problem solving across Consumer Lending. Kalyan joined USAA from HSBC Bank where he served as Vice President & US Lead – Reengineering, leading a team of MBB's, BB's and Process Engineers across Retail Banking & Wealth Management products. He spent the past 10 years in HSBC creating the culture of continuous improvement through Lean Six Sigma deployment and awareness in HSBC Operations by building process excellence teams in India, Philippines, China, Malaysia, Egypt, UK and USA. He also brings experience in overseeing Robotic Process Automation, Agile and Reengineering projects across savings, credit cards, mortgages, and contact centers. Kalyan is a certified Master Black Belt and Lean Six Sigma certified Trainer, Warwick University, UK. He holds an MBA (Master of Business Administration) and BBM (Bachelor of Business Management) from Andhra University, India. Why are organizations investing in BPOs? What new offerings are BPO providers providing their clients? What do contracts look like and how are they changing in today's intelligent automation heavy space? Check out the incredible speaker line-up to see who will be joining Kalyan.